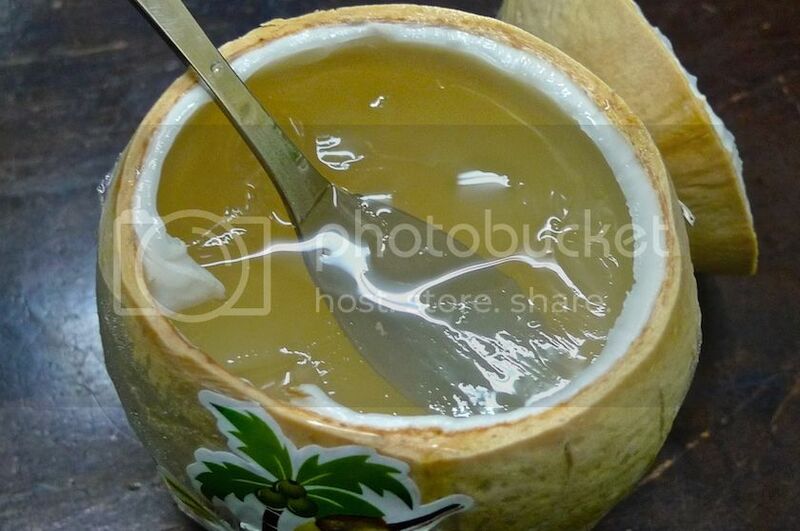 During my Penang trip last year, I had the opportunity to taste for the very first time Joez Coconut Jelly at Dato Keramat Road in George Town. 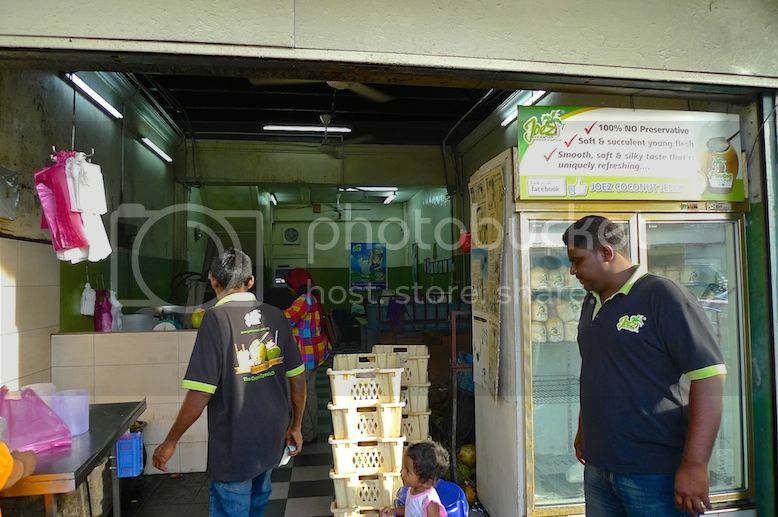 Located near Penang Times Square, this shop sells not only coconut jelly but also pandan coconut juice and coconut shake. 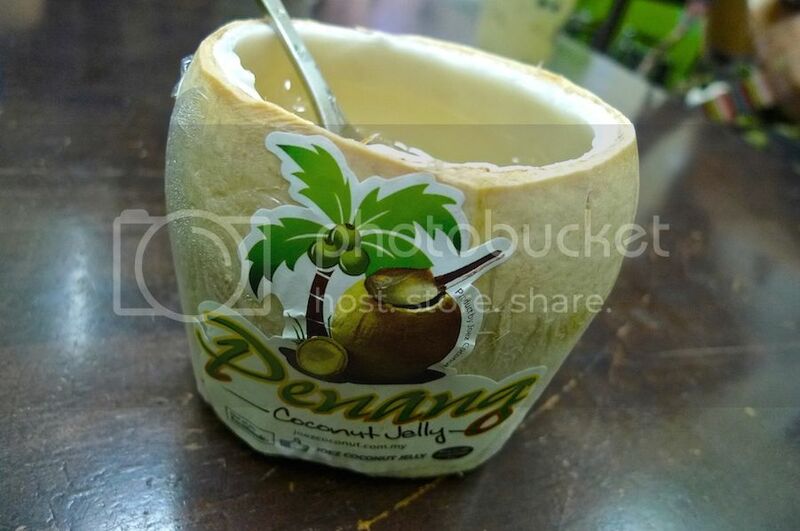 Claiming to be the best in town and the one and only original coconut jelly in Malaysia, Joez Coconut Jelly (aka Penang Coconut Jelly) is also available at KL Sentral and possibly in some supermarkets too! It was a pretty hot day in Penang and my Penang food tour guides, bloggers Ken and Ann had just brought me to the Floating Temple. I guess we were all thirsty after visiting the temple and needed something to drink. 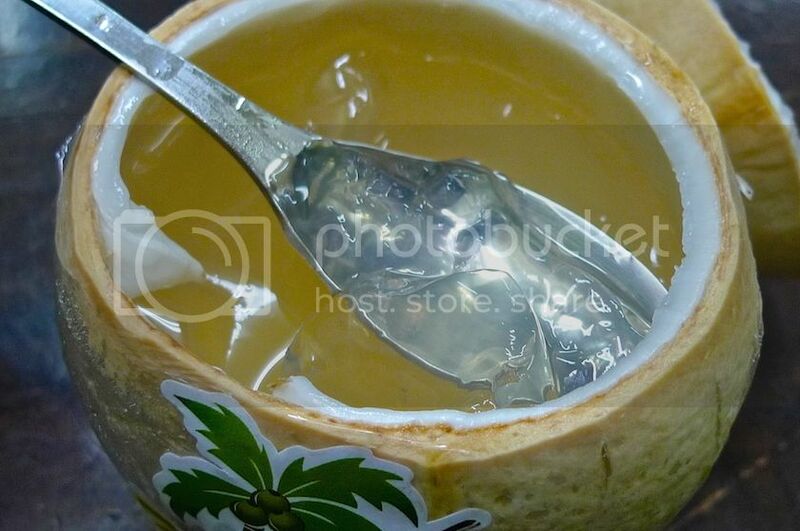 This Penang Coconut Jelly was refreshing and perfect as a thirst quencher. The jelly was so smooth and soft, and it just melted in my mouth without the need to chew or bite. It's also slightly sweet, making it a good choice for dessert. 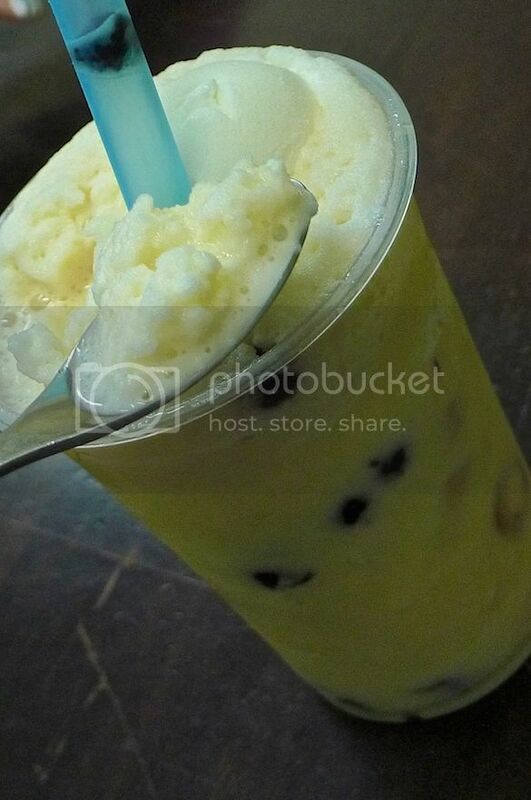 Ann ordered the coconut milk shake which came with black pearls inside, but she did not seem to like it. Probably too sweet and too milky, and very little coconut taste. Well, I did not try it - I was just fine with my coconut jelly haha! 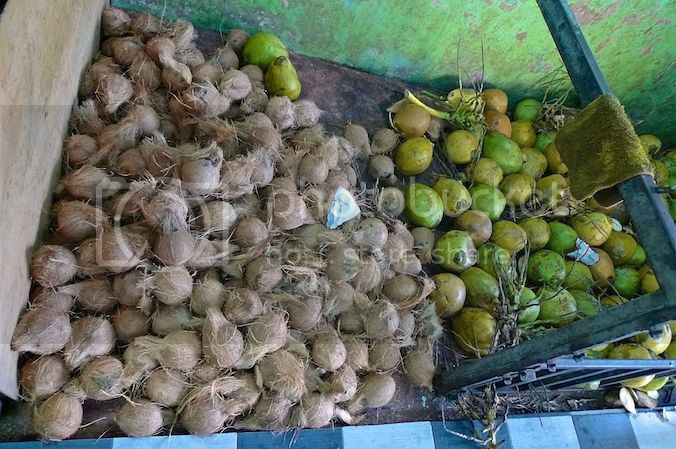 Loads of fresh young coconuts inside the shop! 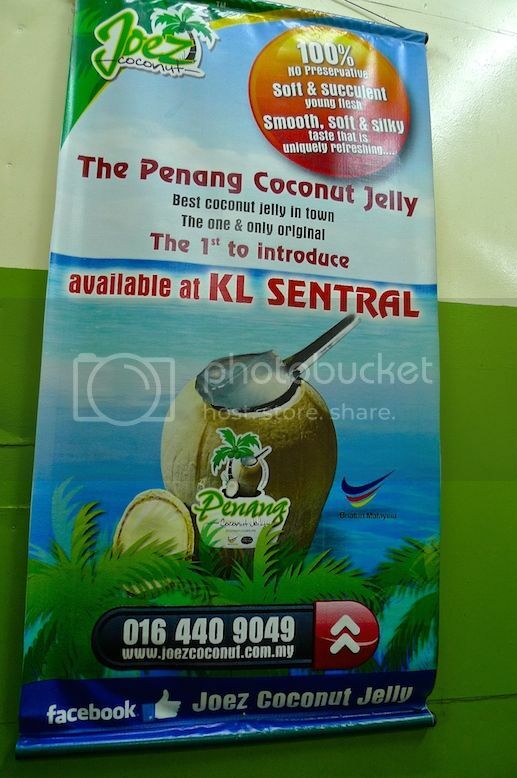 If you ever visit Penang, do drop by this place and try their coconut jelly. Priced at RM4.20 (not sure if they have increased the price since last year), Joez Coconut Jelly is worth a try especially on a hot day! Address : 201, Jalan Dato Keramat, George Town, Penang.